​​1500 Mission Street is a 1.2 million square foot development located on a 2.5 acre site on the corner of Mission Street and South Van Ness Avenue at the nexus of three of San Francisco's iconic neighborhoods; SOMA, The Mission and Hayes Valley. 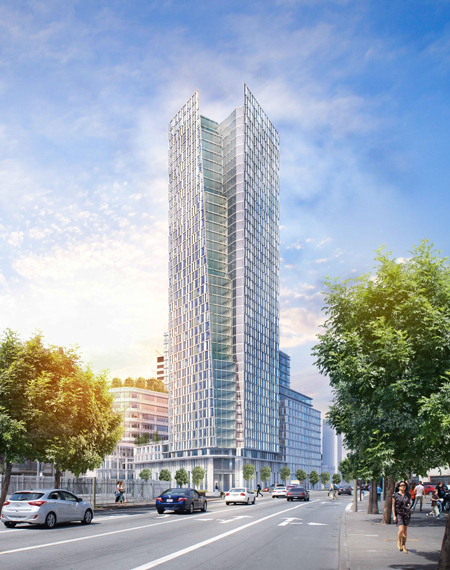 Rising 39 stories, this mixed-income, mixed-use development will consist of a 550-unit luxury apartment tower and a separate 460,000 square foot office building that will be the new home of the San Francisco Planning, Building and Public Works Departments. The residential tower will include 50,000 square feet of neighborhood serving retail with twenty percent of the residential units for affordable and low-income households. Construction is underway with completion anticipated in March 2020.